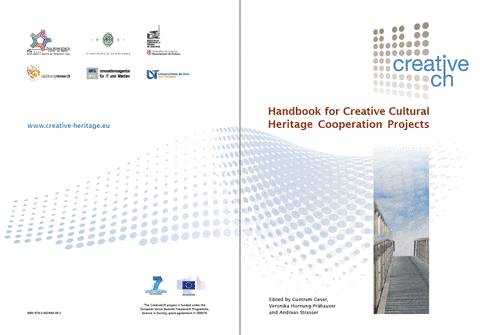 The Handbook and Toolkit highlight the important role of creative, cross-domain cooperation in the communication and valorisation of cultural heritage. The products provide a knowledge base, inspiring examples, and recommendations for cooperation projects. Included are results of CreativeCH expert workshops and additional studies as well as 21 case studies of projects in focus areas of the project. The areas include Archaeological Sites, World Heritage Towns, Industrial Heritage, Historical Places and Buildings, Cultural Routes, and Citizens’ Cultural Participation. 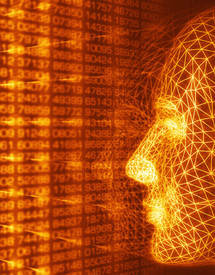 The products emphasise creative communication of cultural heritage with ICT and new media. Communication is crucial for making heritage known and appreciated, and helps making the case for preserving it. The Handbook provides a layouted version of the content (132 pages). The online Toolkit includes some additional content, and links to other CreativeCH content (e.g. videos interviews, presentations, etc.). It will be updated during the next months with content of the final three expert workshops and information on related topics. The Handbook and Toolkit are freely accessible and published under the Creative Commons Attribution-NonCommercial-ShareAlike 3.0 license.